Blog Accounting How Should You Implement Your Software? How Should You Implement Your Software? G2 Crowd is the largest B2B software review platform, and that’s what we’re known for. Our five founders started this company because they saw a lack of transparency in the business software marketplace. My role at G2 Crowd was created to assist in bringing this vision to life. When I was still learning about my new company’s mission, I had a hard time understanding what was meant by “B2B services.” Sure, everyone gets what software is, but understanding a B2B service is a little trickier. What is even more complicated is deciding how to implement software. Our team has added more than 200 new service categories to our site, along with 10,000-plus new products. For the purpose of this blog, I decided to look at three different software categories on G2 Crowd’s website: applicant tracking system (ATS), social advertising and accounting software. These categories were selected completely at random. I will take a look at the price, return on investment (ROI), user adoption and go-live time with these software tools, comparing an in-house team versus third-party consultants and vendor services teams. This data was gathered from questions asked on user surveys. Many of the questions on these surveys apply to software administrators and not users. Users of these software platforms have the option to answer “N/A” for a question on the survey that does not apply to them. Each unlabelled bar on the following graphs indicate no response from users (data as of 8/14/17). Things get interesting right off the bat. Each category of software tells its own story within this graph. We’re measuring go-live time in months here. An in-house team delivers the fastest go-live time for applicant tracking systems. For an applicant tracking system, quick go-live time is key. A review of one of G2’s top-ranked ATSs calls out the platform’s ability to cut down the recruiting time it takes to find top-notch candidates. The longer it takes to launch an applicant tracking system, the greater your risk is of missing qualified candidates. At the time I am writing this, G2 Crowd is in the process of implementing Greenhouse applicant tracking system. Our own HR Manager, Taylor Morgan, told me this is the first ATS that our company has used. While a third-party consultant has the longest go-live time for an ATS software, it offers the quickest implementation for social advertising, just slightly edging out vendor services teams and in-house teams. For return on investment (ROI) with applicant tracking systems, an in-house team takes the cake. On average, a company that installed the software itself saw ROI in half the time, as opposed to a company that outsourced these services. 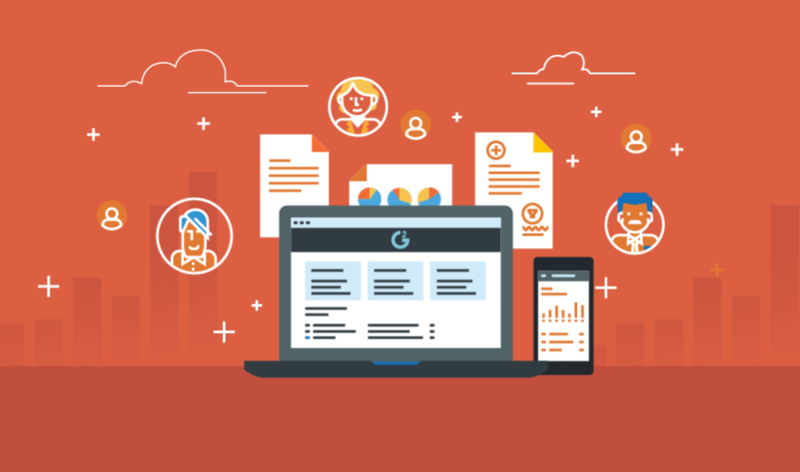 G2 Crowd used an in-house team to implement its new ATS Greenhouse Recruiting, with the help of a consultant from a vendor. Once it is up and running, it will have taken G2 Crowd about three months to implement Greenhouse. That is just slightly higher than the average go-live time for other ATSs implemented by in-house teams. Now, we’ll have to wait to see if the ROI matches up as well. Social advertising and accounting saw completely different results than the other software. For accounting software, an in-house team only slightly edged out third-party consultants. Third-party consultants were not even used by companies that implemented social advertising software. Adoption is slightly across the board for all three of these software categories as well. Third-party consultants and in-house teams are pretty much equal for user adoption for ATS and accounting software. But for social advertising, businesses are 43 percent more likely to adopt a software when it is implemented by an in-house team than third-party consultants. In a perfect world, no company would need to outsource for extra help. All organizations would be able to implement their software on their own. But I guess that this data just goes to show nothing is universal — deciding how to implement a software platform for your business just depends on what is best for your organization. Write a review of a business software tool or service you use to share your expertise and help potential buyers like you.